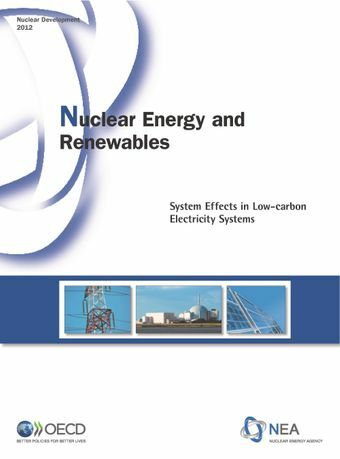 This report addresses the increasingly important interactions of variable renewables and dispatchable energy technologies, such as nuclear power, in terms of their effects on electricity systems. These effects add costs to the production of electricity, which are not usually transparent. The report recommends that decision-makers should take into account such system costs and internalise them according to a “generator pays” principle, which is currently not the case. Analysing data from six OECD/NEA countries, the study finds that including the system costs of variable renewables at the level of the electricity grid increases the total costs of electricity supply by up to one-third, depending on technology, country and penetration levels. In addition, it concludes that, unless the current market subsidies for renewables are altered, dispatchable technologies will increasingly not be replaced as they reach their end of life and consequently security of supply will suffer. This implies that significant changes in management and cost allocation will be needed to generate the flexibility required for an economically viable coexistence of nuclear energy and renewables in increasingly decarbonised electricity systems.